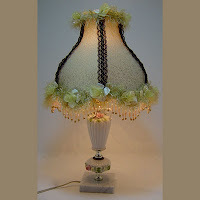 I love the color combination of green and black on this hand-sewn lampshade. The light green silk fabric just seems to pop with the black and gold lace trim down the vertical ribs. 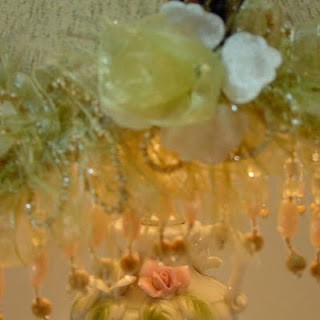 I found this wonderful green chiffon rose trim and bead fringe at my favorite store in Cortland, Ohio...Quilter's Fancy. Cindy (great name!) helped me pick it out. 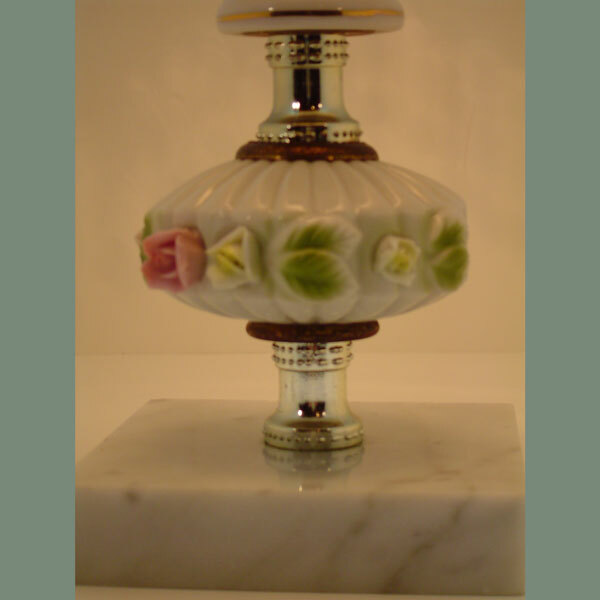 The lamp base is an antique I found on one of my shopping excursions in Chautauqua County. 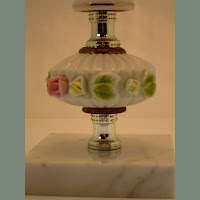 I love the porcelain roses that stand out on the white porcelain base. The marble square on the bottom is perfect to make it exquisite looking. I added a small gold finial to the top to hold the lampshade in place. This is one of the rare shades that I've lined with white fabric. The lamp uses a 40-watt bulb for soft mood lighting. 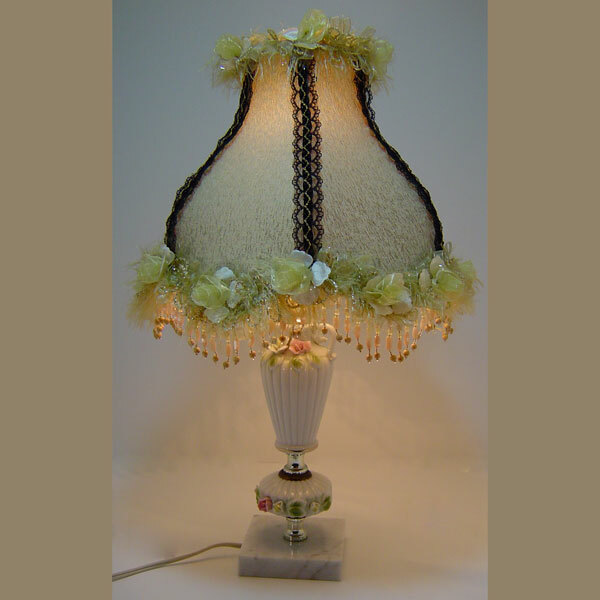 The lamp measures 19" high, perfect for a bedroom or sitting room.